This disciple [John] is the one who testifies to these events and has recorded them here. And we know that his account of these things is accurate. Jesus also did many other things. 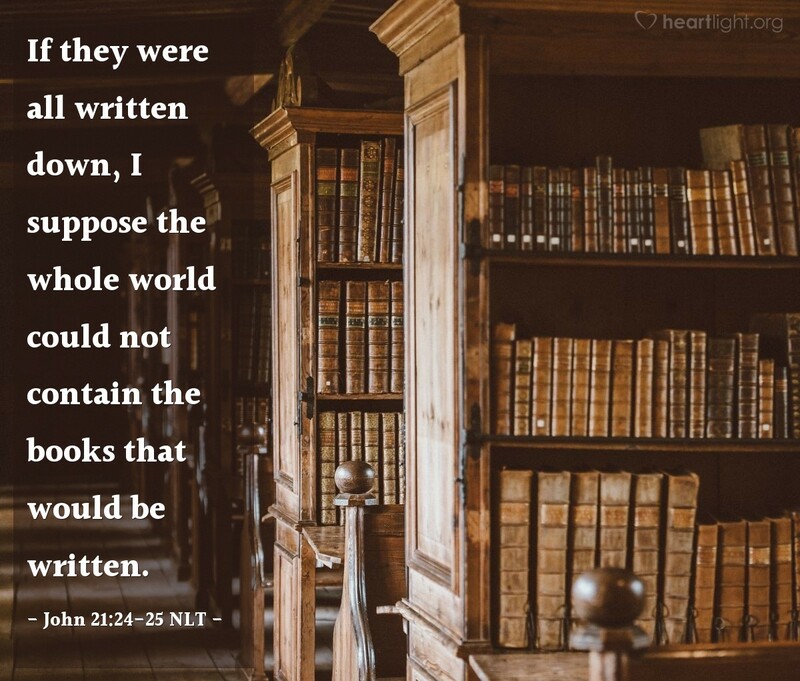 If they were all written down, I suppose the whole world could not contain the books that would be written. Jesus loves us, as does his Father. We need Jesus' love, mercy, grace, example, message, and truth. The Father wanted Jesus to come and reveal himself to us. So as we come to the end of the year and as we come to the end of this Gospel, let's never forget that we are loved, that we need Jesus, and that Jesus did what he did to honor the Father. Those are pretty good things with which to end the year. They are also excellent things with which to begin the new one! God bless you as you seek to know and to follow the Lord Jesus in the New Year ahead. Father, as I finish this year, I know there are ways I have failed you. However, dear Father, I also know that you have moved me closer to you through a deeper knowledge and walk with your Son. I look forward to the Spirit's transforming work in me in the year ahead and trust that you will continue that work in me until you call me home. In Jesus' name. Amen.